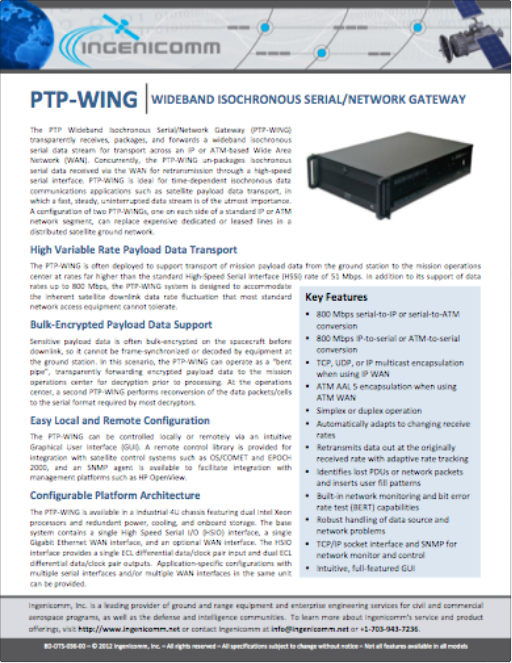 The PTP Wideband Isochronous Serial/Network Gateway (PTP-WING) transparently receives, packages, and forwards a wideband isochronous serial data stream for transport across an IP or ATM-based Wide Area Network (WAN). Concurrently, the PTP-WING un-packages isochronous serial data received via the WAN for retransmission through a high-speed serial interface. PTP-WING is ideal for time-dependent isochronous data communications applications such as satellite payload data transport, in which a fast, steady, uninterrupted data stream is of the utmost importance. 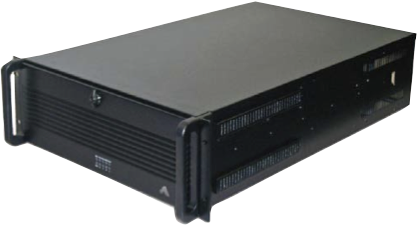 A configuration of two PTP-WINGs, one on each side of a standard IP or ATM network segment, can replace expensive dedicated or leased lines in a distributed satellite ground network.